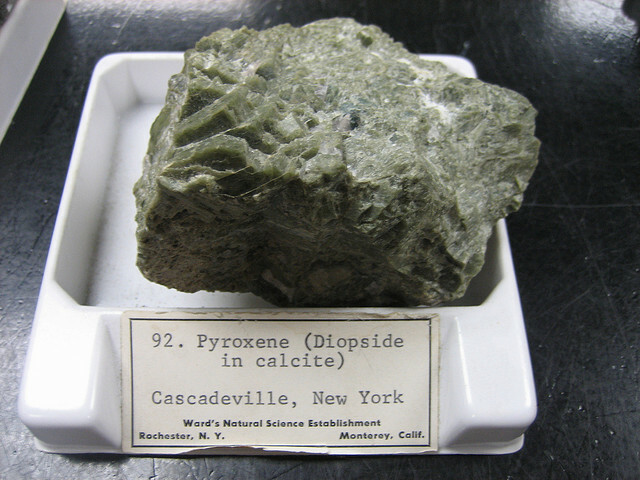 On this page you have the pyroxene minerals. They are a group of double-chain silicates. 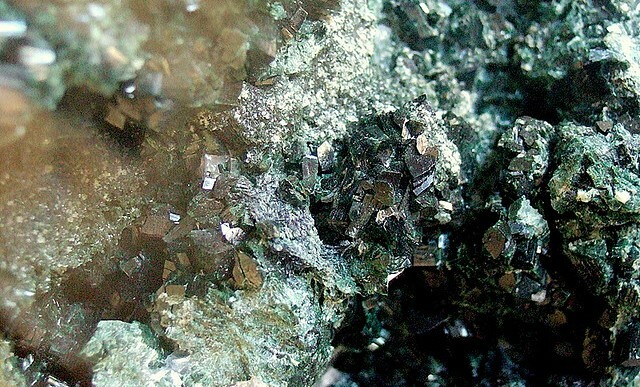 They include diopside, augite, jadeite, omphacite, spodumene, wollastonite, and rhodonite. Diopside is a clinopyroxene which forms short prismatic crystals, but can also be massive, granular, lamellar or columnar in habit. It can be white, violet, green, grey, reddish brown, yellowish brown or greenish black. Most often it forms in metamorphic rocks such as skarns, gneisses, schists, hornfelses and marbles. 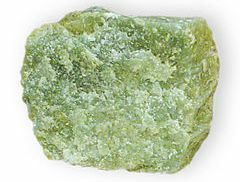 But it is also found in some mafic igneous rocks such as kimberlites and peridotites. Jadeite is a green mineral often used in jewelry. But it can actually also be violet, mauve, yellow, brown, grey and white. It is often massive, but can also be fibrous and very rarely it forms platy or small prismatic crystals. It is found in metamorphic rocks such as eclogites and high pressure blueschists; some schists and some ultramafic igneous rocks. Omphacite is a pyroxene similar to jadeite and augite in composition. It can be granular (anhedral grains), or it can form short prismatic crystals. It is green or dark grey in colour. 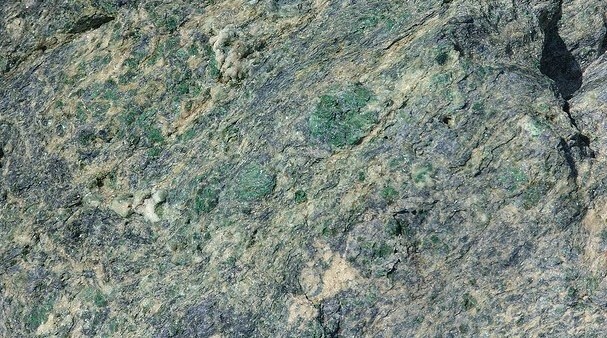 It is often found in high pressure rocks such as eclogite. It can also be found in granulates, metagreywacke and blueschist. Spodumene either occurs as massive aggregates, or forms huge crystals. It is often found in a rock that is known for large minerals - pegmatite. 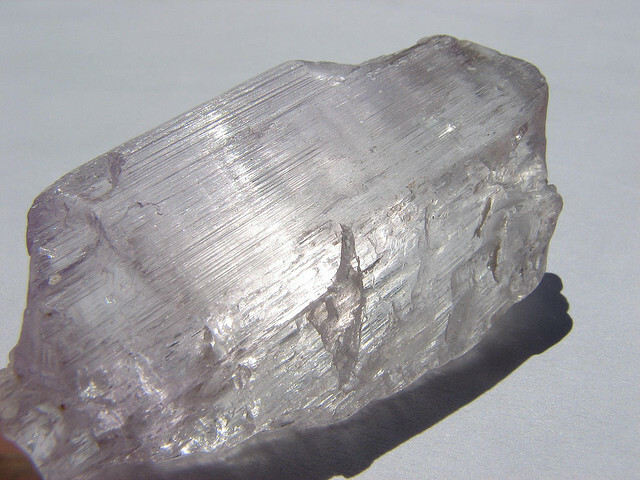 The crystals are prismatic and can often be twinned or flattened. The colour varies widely and can be pink, violet, green, yellowish, grey, white or colourless. It can also be fluorecsent under UV light. It is not a very stable mineral and can often be partly altered to clay or mica minerals. 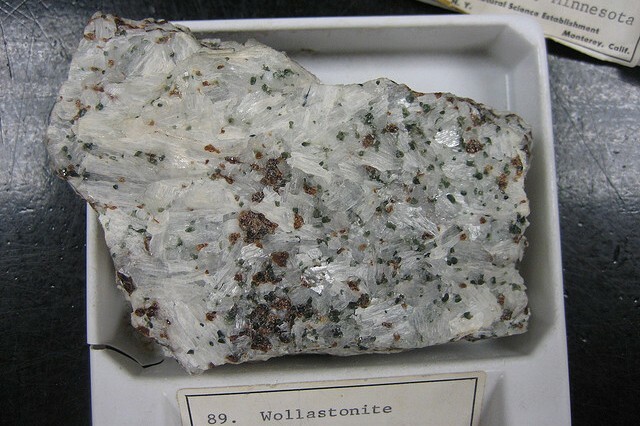 Wollastonite is a grey or white mineral which can be greenish or reddish if coloured by impurities. 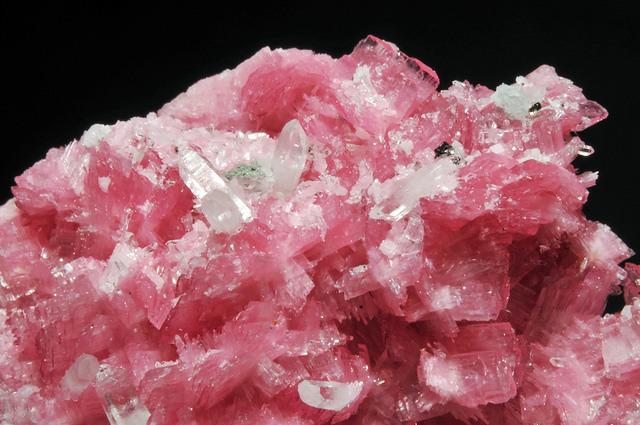 It can be massive, granular, bladed, compact, fibrous, or form tabular, and often twinned, crystals. It can be found in sedimentary rocks such as siliceous limestones and skarns, regional metamorphic rocks such as schists, phyllites and slates; and some alkaline igneous rocks. Rhodonite is a beautiful pink manganese pyroxene mineral which is most often coarse, fine-grained or cleavable compact masses, which contain black veins of manganese minerals. It can also have granular habit, and very rarely tabular crystals. It forms in metamorphic rocks that are rich in manganese. such as marbles, skarns and others that originally formed from limestones.